The craftsmanship was beautiful. They did what they said they were going to do, they were always on time, and they were reliable. The whole experience was really nice and I felt like everything was done gorgeously. They completed the project within the time that they said they would, and they keep you right on track so you know what's going to happen and when it's going to happen. They kept me informed with everything that was happening, they were pleasant to work with, and it was a good experience. They were easy to deal with and just wonderful. They were always there. It was a perfect experience, and I'm very happy with everything that they've done. Cook’s Kitchen & Bath, Inc. is a design/build contractor that specializes in full-service kitchen and bathroom remodeling. Serving residential clients in Solano, Contra Costa, Northern Alameda and Southern Napa Counties, the family-owned and operated company manages every aspect of a project, including designing, bidding, planning, pulling permits, scheduling, ordering, installation, cleanup and follow-up. Cook’s Kitchen & Bath, Inc. is an authorized dealer of Huntwood Custom Cabinets and Bestbath, a leading manufacturer of curbless showers, slide-in bathtubs and walk-in bathtubs. The company also works closely with clients who have special needs, helping to retrofit their bathrooms for both safety and comfort. Mr. Cook invites potential customers to visit Cook’s Kitchen & Bath’s Benicia showroom (by appointment only) for more information. DIAMOND CERTIFIED RESEARCHED CAPABILITIES ON Cook’s Kitchen & Bath, Inc.
Company Name: Cook’s Kitchen & Bath, Inc.
DIAMOND CERTIFIED RESEARCHED ARTICLES ON Cook’s Kitchen & Bath, Inc.
A recently completed kitchen remodel by Cook’s Kitchen & Bath, Inc.
"Remodeling is a relationship business! With so many variables involved, it's up to us to educate clients about the process. To be successful, we take full responsibility, managing every aspect of every project from start to finish. Our ultimate goal is to provide results that exceed our customers' expectations and are completed on time and within budget." 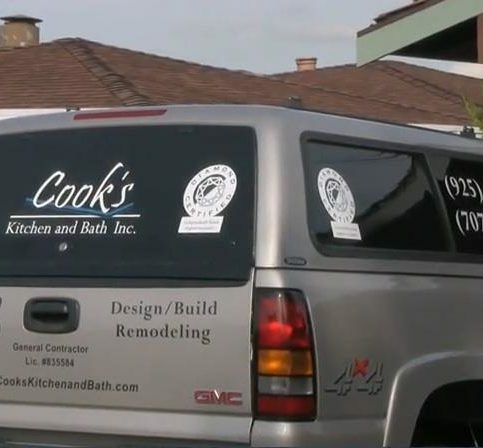 Even though Dave Cook’s company specializes in kitchen and bathroom remodeling, he considers himself to be in “the relationship business.” The best contractors don’t merely see themselves as project managers, says Mr. Cook, co-owner of Cook’s Kitchen and Bath, they take responsibility for the entire customer experience–with good communication as their key approach. In the case of Cook’s Kitchen and Bath, that customer experience resembles a well-oiled machine, calibrated to deliver on-time, on-budget and trouble-free performance, says Mr. Cook. The family-owned company (Dave’s brother, Christopher Cook, is co-owner) manages every aspect of your project from start to finish: Bidding, designing, planning, pulling permits, scheduling, ordering, installation, clean-up, follow-up and, of course, guaranteeing their work. This business model, known as design-build, spares you the hassle of juggling multiple contractors. More important, all accountability for your project rests with one company. When you have problems, there’s no run-around; you know where to turn. 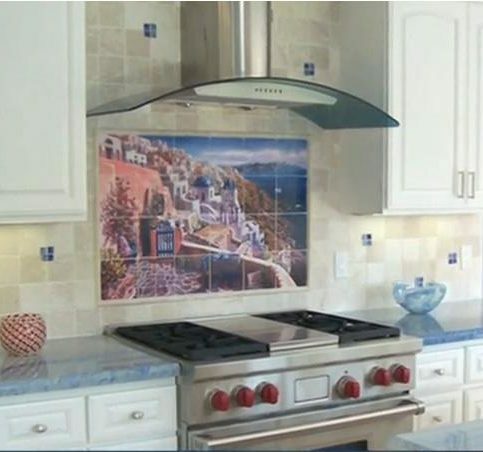 Moreover, the Cook’s Kitchen and Bath team stays in constant communication with its customers. The company actively solicits ongoing feedback, says Dave Cook, asking, “What can we do better?” and “How are you feeling about the work?” Customers are never left frustrated or kept in the dark. 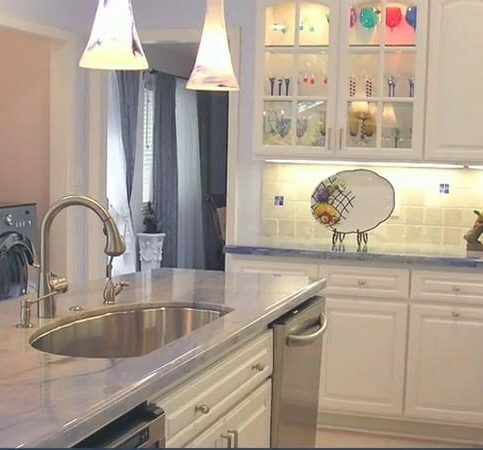 Cook’s Kitchen and Bath has developed a highly regimented process that ensures bids are based on real-life considerations and not, as is a common practice in the industry, “allowances and wild guesses,” says Mr. Cook. Because Cook’s Kitchen and Bath is a smaller company with only one or two ongoing jobs at any time, it will never pull its workers off your project because they’re needed elsewhere. What it starts, it finishes–on time and on budget. If your kitchen/bath contractor doesn’t answer “yes” to these questions, consider looking elsewhere. By law, any licensed contractor must hand the customer a statement saying whether they do or don’t carry general liability insurance. Yet clients of Dave Cook, co-owner of Cook’s Kitchen and Bath, tell him their prior contractors have never complied with this requirement. “It says a lot about some of the problems with this industry and some of the issues about integrity,” he says. When evaluating potential contractors for your kitchen or bath project, it’s important to compare “apples to apples,” says Mr. Cook. He advises against making a decision on price alone. Here’s a list of questions that can help determine whether a contractor adheres to high standards for quality, ethics and business practices. • There are about 40 different classifications of contractor licensing. Are you and your employees licensed in the proper categories? • Do you have general liability insurance? Can you provide the required disclosure form? • Do your trade contractors carry general liability insurance? Are you named as “additional insured” on each of your subcontractor’s policies? • Do you carry worker’s compensation for your employees? • If your trade contractors have employees, are you a certificate holder of their workers’ compensation policies? • Does the Better Business Bureau accredit you? • Do you guarantee your price? Do you use a fixed price contract? • What are your dust protection measures? Do you site-protect walls, floors and other finished surfaces? • Plumbing, electrical structure, wet walls around tubs and showers, and the opening of a wall all require permits. Do you pull permits for your work? 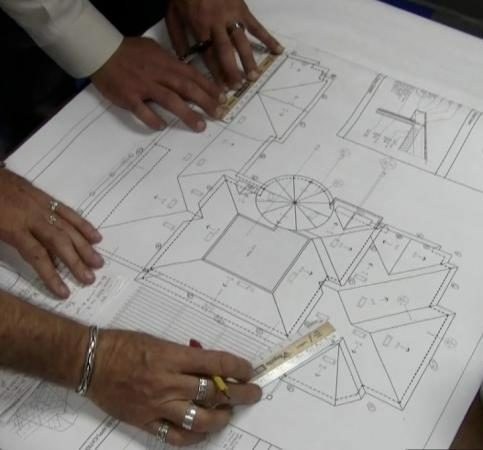 Your contractor should answer “yes” to most, if not all, of these questions, says Mr. Cook. Otherwise, you should consider looking elsewhere. Q: How long does it take to design a kitchen? 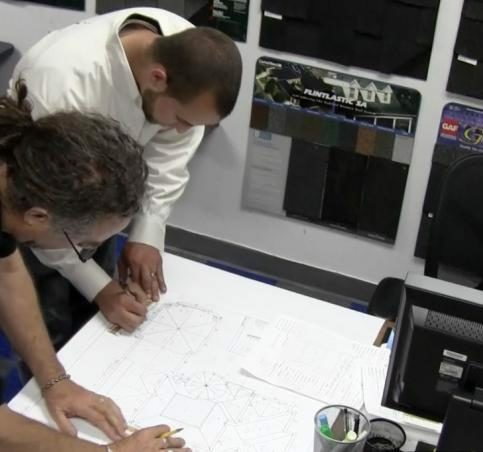 A: 30, 40, 50, sometimes 60 hours of work is necessary to plan a kitchen. A lot of people watch HGTV and think it takes half an hour to plan and a week to produce. Q: And what about the actual remodel? A: Our typical kitchen remodel is four to six weeks. We usually get them done between four and five, but it’s always better to build in extra time. I won’t tell you three weeks and have it takes four or five. So we’re conservative in our estimates. Q: What about a bathroom? A: If someone says, “Oh, we can build your bathroom in one day,” it’s simply not true. You can’t even get a permit or inspection in one day. Usually it takes seven to 10 business days for a bathroom. If it’s a tile job, it’s probably going to be a little more. Q: How messy is this going to get? A: Site protection is very important to us. Protecting your property is a top priority. We have several different materials we use to cover different floor types—a carpeting protection material, a hardwood floor protection material, a tile and linoleum protection material that’s permanent for the duration of the job. It’s not something you put down and lift up every day. After that, we put up runners and plastic, and we hang zipper doors in front if we have to get in or out. We also do our best to maintain and control dust in the property. We’re very conscious of that. A: We have a lock box system on all the doors, so I usually get a couple sets of keys—I keep one and one goes in the box. I have agreements with all my tradesmen that if somebody loses a key, they re-key everything. It just adds that extra level of protection. And the box is there, so the house is always accessible. 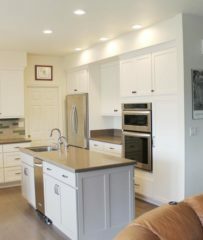 SELECTED PHOTOS FROM Cook’s Kitchen & Bath, Inc. 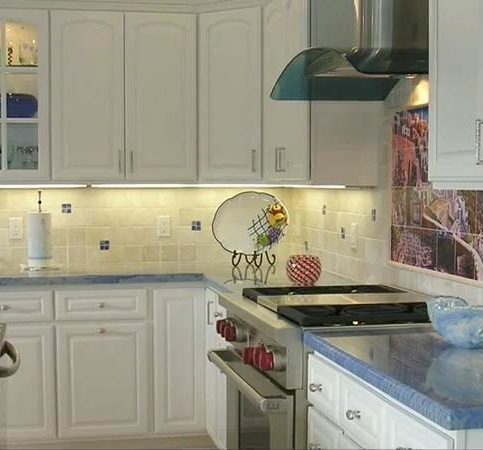 This kitchen was designed around the homeownerÛªs granite choice, Azul Macauba. Cabinetry provided by Huntwood Custom Cabinetry. 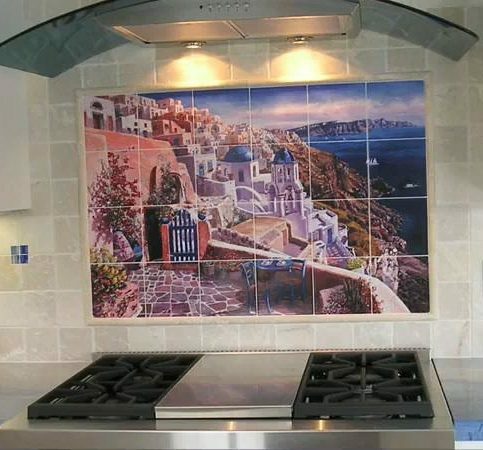 CookÛªs Kitchen & Bath installed this tile mosaic backsplash of Santorini, Greece based on a homeownerÛªs vision. This Azul Macauba top sets the stage for the rest of the design elements, including blue glass inserts in the tile backsplash. CookÛªs Kitchen & Bath installed this kitchen island, which features Italian pendant lights and outlets on all four sides. This deep undermount stainless steel sink has enough room to fill almost any size pot. 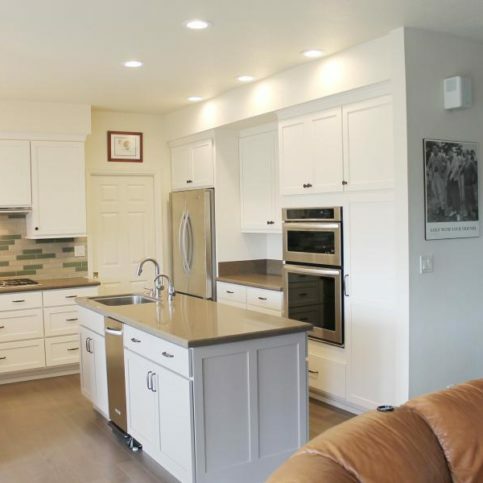 A recently completed kitchen remodel by CookÛªs Kitchen & Bath, Inc.
David Cook is 19-year veteran of the remodeling industry and owner of Cook’s Kitchen & Bath, Inc., a Diamond Certified company since 2007. He can be reached at (707) 901-7940 or by email. Q: If you could travel to the past or the future, which would you choose? A: The future—it’s not good to live in the past. 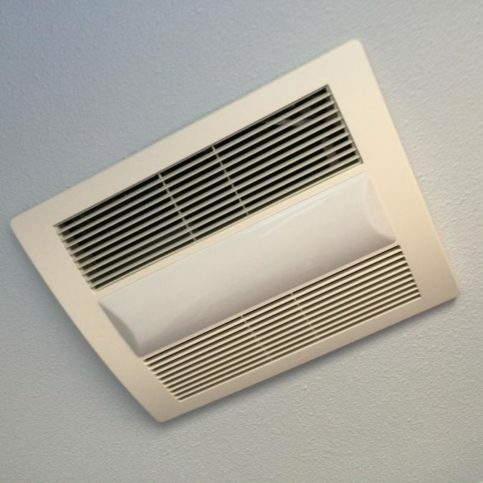 VALLEJO — Many homeowners think of bathroom exhaust fans as a “one size fits all” affair, but in reality, there are several variables to consider. As modern homes are being built tighter to maximize energy efficiency, the need for adequate ventilation has increased, which is why building code legislation now requires bathroom fans to be installed in any new or remodeled bathrooms, regardless of whether they have windows. Few people realize that a bathroom fan doesn’t merely reduce moisture—it actually improves air quality by removing pollutants like mold, mildew and dust from the indoor environment. However, simply having a fan isn’t enough; you need one that’s correctly sized for the space. In determining the right fan size for your bathroom, remember that proper airflow is a minimum of 1 cubic foot per minute for each square foot of bathroom. In addition to correctly sizing your fan, you’ll need to decide what features you want. 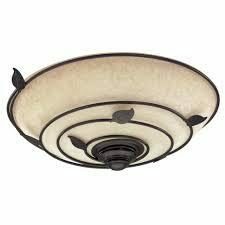 In addition to the fan itself, you can get a model that has an LED or fluorescent light. Other optional features include motion sensors, variable speeds, heat, condensation sensors, night lights and delay timers. 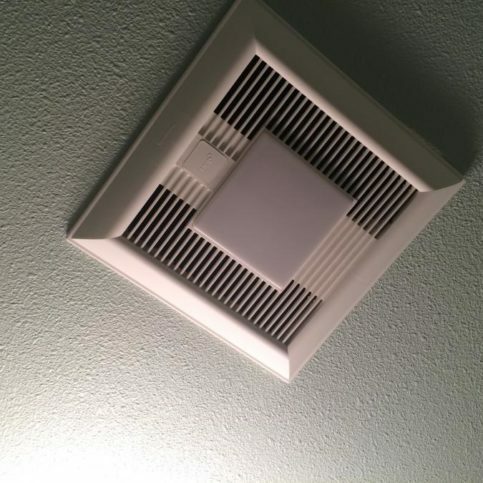 After selecting your bathroom exhaust fan, you’ll need to have it installed. Since different bathroom fan models have different wiring requirements, it’s best to consult a licensed electrician to ensure your new fan will work properly following installation. 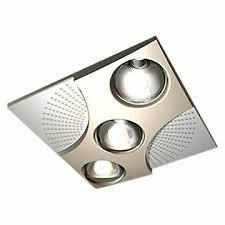 Cook's Kitchen & Bath, Inc.
VALLEJO — Host, Sarah Rutan: Most people think bathroom exhaust fans are all the same, but there are actually several variables to consider. Today we’re in Vallejo with Diamond Certified Expert Contributor David Cook of Cook’s Kitchen & Bath to learn more. Diamond Certified Expert Contributor, David Cook: A bathroom exhaust fan is a bathroom exhaust fan, right? Or is it? As homes are built tighter and more energy efficient, the need for proper ventilation increases. 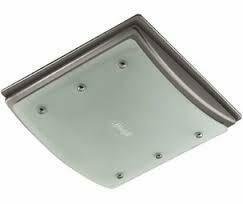 Exhaust fans not only remove moisture but they help remove other pollutants like mold, mildew, and dust. Recent legislation now requires a bathroom fan to be installed in new construction and remodels even if there is a window. CALGreen standards also require condensation sensor to control the fan. Selecting the right fan for your needs requires some planning. A rule of thumb for proper airflow is a minimum of 1 cubic foot per minute for each square foot of bathroom. Next you need to decide what features you need or want. 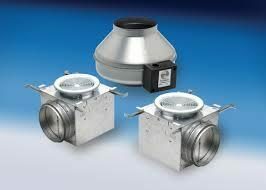 Features such as fan only or with LED or fluorescent light. How about a motion sensor, variable speed, or heat? They even have condensation sensors, night lights, delay timers, and can be extremely quiet. It is important to be aware that they all have different wiring requirements so please be sure to consult a licensed electrician to ensure your new fan is wired properly. 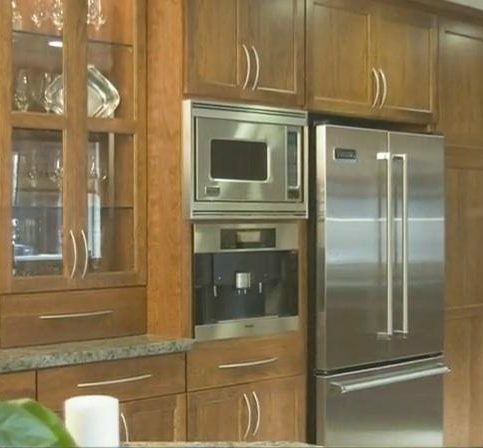 Diamond Certified RATINGS ON Cook’s Kitchen & Bath, Inc.
Cook’s Kitchen & Bath, Inc. : Average 9.3 out of 10 based on 69 unique customer surveys of customer satisfaction. They did a good job. I love the work that they did. I would say their experience put them far ahead of their competition. They do beautiful work. I wouldn't let anyone else do anything related after using them. I would mention to them about how satisfied my wife is, which is a big deal. I would highly recommend them. That their quality of work is excellent, they're on time, and their end date was as scheduled. It was just a good experience. David Cook and his brother are delightful people to work with. They should hire them in a heart beat. The job got done, and it was done well. The home inspector said they were excellent. They gave their advice as to what we thought we wanted, and it turned out better than we thought it would. The home inspector even said that they had gone above and beyond. They did an excellent job. Their ability to solve problems, I really think they're tops. They were dependable, and there were no surprises, which I thought was important. They did quality work. They were very easy to work with, and when there were changes, it didn't affect the schedule, which from my standpoint was a positive. The thoroughness, they exceeded our expectations, and we used them through Diamond Certified. They're honest, reputable, they do high quality work, and they're upfront. I would highly recommend them. They do a great job and the quality of the work was very good. They were very good to work with, very flexible. They did a really good job and the quality of their workmanship was terrific. They were really great all around. They were very honest, they would let us know if they were going to be late, but for the most part, they were always on time. The work was done in a very timely manner and there were no big gaps or anything. They're very easy to talk to, very relaxed, and very good natured. I appreciated their honesty and good work, and they were good listeners as far as what we wanted. They seem to care about their work and they keep an eye on their subcontractors and make sure they're doing the right stuff. I'm happy with them. They're friendly, easy to talk to, and they answer your questions. They communicate very well with what they're going to do, they give an approximate timeline of when the project will be done, and they have good follow-through. I felt like I got really personalized service. The fact that it was just a partial remodel and that they were willing to do it. Their quality was unbelievable. Our house flooded. They came out and did the flood clean-up. They did such an amazing job that their quality of work was unbelievable. I was a little nervous about the price. I thought that it was a little expensive, but after seeing Dave Cook at every appointment and him being there the whole time, he was absolutely amazing. Their attention to detail in everything they did. Their finished work and everything just looked perfect. The cabinets that they ordered were just beautiful. I sell Real Estate and I've been recommending them to my clients. I could say that Cooks Kitchen & Bath is honest, and they do first class work. Well, I liked the workmanship, that was the most impressive thing. For the job that they did for me I would have to give them a 10 on everything. I was absolutely outstanding. The workmanship that they did was great. They installed a bathtub with very high quality materials. They did such a wonderful and beautiful job. They were very attentive to detail. They took personal ownership in what they were doing. They're pretty good. First of all, they did a good job. Also, they were very nice and easy to work with.